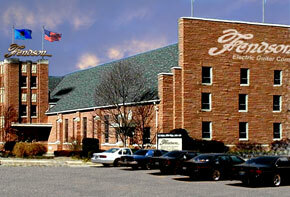 Fendson® Guitars is a company based in Tahlequah, Oklahoma USA. Fendson® guitars are american hand crafted instruments and are the worlds most wanted contemporary axes made of the finest materials and components with the feel, sound an playability far beyond their cost. A true line of limited edition beautiful instruments that anyone would be proud to own. Fendson® guitars are made in small quantities with great care towards quality and consistency. To keep the Fendson® line as fresh as possible, we are constantly experimenting with new colors, finishes and exotic woods. A majority of Fendson® guitars are pre sold so it is important to check with us on availability of certain models and colors. Concerning with e-mails, allow up to a couple of weeks for a reply. Fendson® Guitars responds to all e-mails sent to the company. If you do not get a response after a reasonable time, we did not get your e-mail so please try again. Please read all pages carefully if you are considering ordering anything from Fendson® Guitars. All prices in American dollars and subject to change without notice. 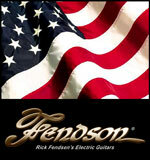 Fendson® guitars are covered by relevant warranties. Fendson® Guitars/Fendson Music Corp. accepts PayPal. Pay by credit card from anywhere in the world using this service.